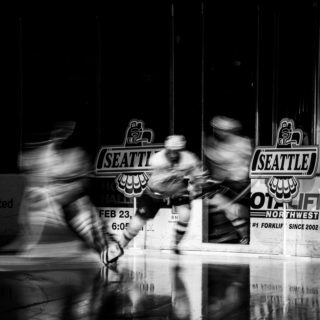 EVERETT, March 23, 2018 — The Everett Silvertips defeated the Seattle Thunderbirds 4-1 in Game 1 of their first-round playoff series Friday at Angel of the Winds Arena in Everett. Game 2 of the series is Saturday at Everett at 7:05pm. Everett took a 1-0 lead at 10:19 of the first period on a goal from Garrett Pilon. Matt Fonteyne and Wyatt Wylie had the assists. The Silvertips outshot the T-Birds 13-7 in the first period. 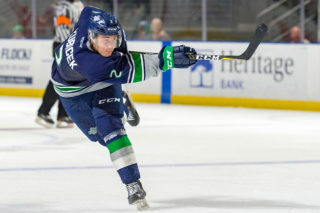 Everett took a 2-0 lead at 1:47 of the second period on a shorthanded goal by Patrick Bajkov. Bajkov scored at 5:59 of the second to give Everett a 3-0 lead. Seattle cut the Everett to two goals at 7:03 of the second. Donovan Neuls move the puck from the right corner to Austin Strand at the right point. Strand took a wrist shot that Zack Andrusiak tipped past Everett goalie Carter Hart. The Silvertips took the three-goal lead back at 10:12 of the second on a goal from Bryce Kindopp. Everett outshot Seattle 46-26 in the game. Seattle goalie Liam Hughes had 42 saves. First period – 1, Everett, Pilon 1 (Fonteyne, Wylie), 10:19. Penalties – Neuls, Sea (hooking), 1:06. 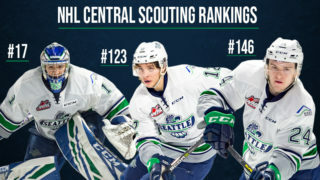 Williams, Sea (cross checking), 12:05. Richards, Evt (roughing), 20:00. Second period – 2, Everett, Bajkov 1 (Fonteyne), 1:47 (sh). 3, Everett, Bajkov 2 (Fonteyne), 5:59. 4, Seattle, Andrusiak 1 (Strand, Neuls), 7:03. 5, Everett, Kindopp 1, 10:12. Penalties – Harsch, Sea (interference), 8:01. Third period – No scoring. Penalties – Richards, Evt (hooking), 1:48. Hamaliuk, Sea (roughing), 13:16. Fairbrother, Evt (roughing), 13:16. Moilanen, Sea (roughing), 19:38. 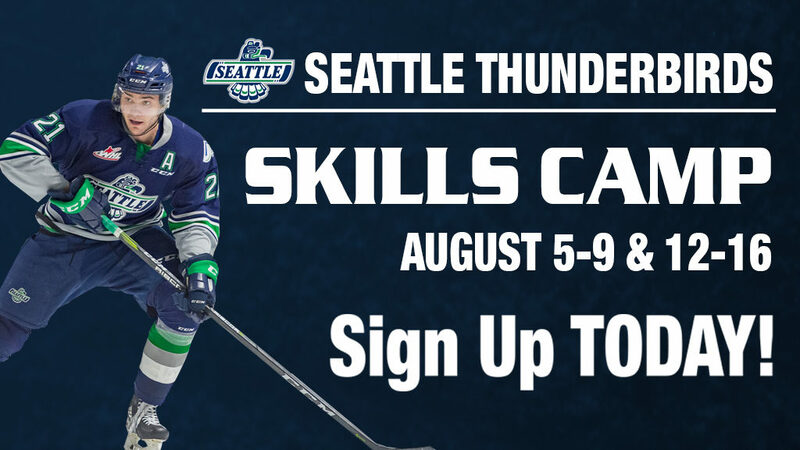 Shots on goal – Seattle 7-11-18 26, Everett 13-18-15 46. Goalies – Seattle, Hughes 46 shots-42 saves (0-1-0); Everett, Hart 26-25 (1-0-0). 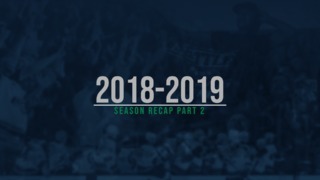 Power plays – Seattle 0-2; Everett 0-4. A – 4,247. Referees – Brett Iverson, Mark Pearce. Linesmen – Nick Bilko, Adam Brastad.